Jonathan Ben-Asher represents executives, professionals and other employees in employment disputes, including those involving employment contracts, executive compensation, whistleblowing, retaliation and employment discrimination. He also has particular expertise in Sarbanes-Oxley whistleblowing cases, claims under the Qui Tam (False Claims) Act and Dodd-Frank Act, and disputes concerning executive compensation in the financial services sector. Mr. Ben-Asher works with his clients through all phases of an employment problem: negotiating employment contracts, advising clients on protecting their interests when problems arise in their employment, negotiating severance and buy-out agreements, and representing them in arbitration, litigation and mediation. He prides himself on being creative, thorough and tireless in working to achieve results which benefit his clients. He has held numerous leadership positions in the American Bar Association’s Section of Labor and Employment Law, the New York State Bar Association Section of Labor and Employment Law and the National Employment Lawyers Association / New York (see below). He is former Chair of the New York State Bar Association’s Labor and Employment Law Section and on the governing Council of the ABA’s Labor and Employment Section. 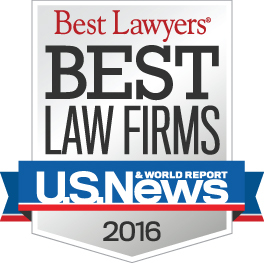 He is AV rated by Martindale-Hubbell and has repeatedly been named as a New York Super Lawyer and one of the Best Lawyers in America and New York. He is a Fellow of the College of Labor and Employment Lawyers. 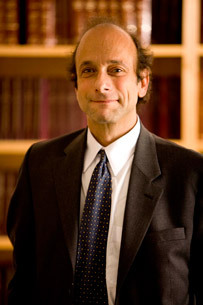 He is a frequent speaker on employment law issues for professional groups, including the American Bar Association, New York State Bar Association, New York City Bar Association, Workshop on Employment Law for Federal Judges of the New York University School of Law Center for Labor and Employment Law and the Practising Law Institute. He received his J.D. from New York University School of Law (1980) and his B.A. from Columbia University (1974). Assistant Attorney General, Labor Bureau, Attorney General of the State of New York, 1988-1989. Staff Attorney: Legal Aid Society, Civil Division, New York, 1980-1988; Civil Appeals & Law Reform Unit, 1985-1986. Fellow: Reginald Heber Smith Community Lawyer Fellowship Program, 1980-1982. Rodriquez v. Joseph, 544 N.Y.S.2d 592 (1st Dept. 1989) (denying summary judgment in class action on behalf of parents of New York City School system concerning excess kindergarten class size).